In head-on car crash cases, it is particularly important to carefully investigate the incident and determine exactly what happened. Our lawyers take measures such as visiting the site of the crash and working with accident scene reconstructionists to ensure that we uncover all the important factors in the crash. Accident scene reconstructionists are often able to deduce what occurred based on evidence such as the length/direction of skid marks, layout/angle/curve of the road, and where the vehicles came to rest after the crash. Because of room for dispute over the facts of more complex car crashes, it is particularly important to gain a full and complete understanding of what happened from start to finish. By visiting the scene, our lawyers gain a better personal understanding of what occurred, and are thus better able to convey the facts while negotiating with insurance adjusters. More so than in other car crash claims, head-on collision cases present many potential ways for the parties to dispute what happened. For example, even if the other driver crossed the center line and hit you, they may try to blame you for the accident by claiming that you were speeding (this is called “comparative fault”). In contrast, we do not normally see defendants in rear-end car crash cases blaming the person ahead of them for getting hit. Furthermore, the stakes are particularly high in head-on collision cases. 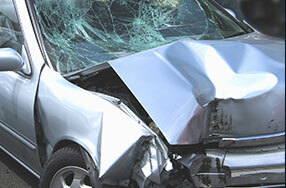 Injuries suffered tend to be more severe than in other types of car crashes, so the defendant (i.e. their insurance company) has a lot more to lose if they are found responsible for the crash. More importantly, in catastrophic injury or death cases, full and fair compensation is particularly important to the claimant. Someone suffering catastrophic injuries likely depends on full compensation to ensure that they will be able to pay for necessary medical treatment. Sadly, one potential outcome in head-on collisions is the death of one or more of those involved. In wrongful death claims, the most important witness is the person who was killed, who is obviously unable to tell us what happened. Therefore, it is particularly important to carefully review the evidence at the scene to determine what caused the crash. Wrongful death claims also present unique procedural difficulties. For example, only the “personal representative” of the deceased person’s estate may bring wrongful death claims. However, the recovery may be shared between various family members. The “personal representative” of the estate is a person designated to handle probate related to the deceased person’s assets. This is usually a spouse or parent, but can be anyone. The lawyers at Kraft Davies, PLLC are able to help our clients to set up probate, and any other steps necessary to appoint a personal representative. If you have questions about a head-on collision claim, call us today for more information: 206.624.8844.